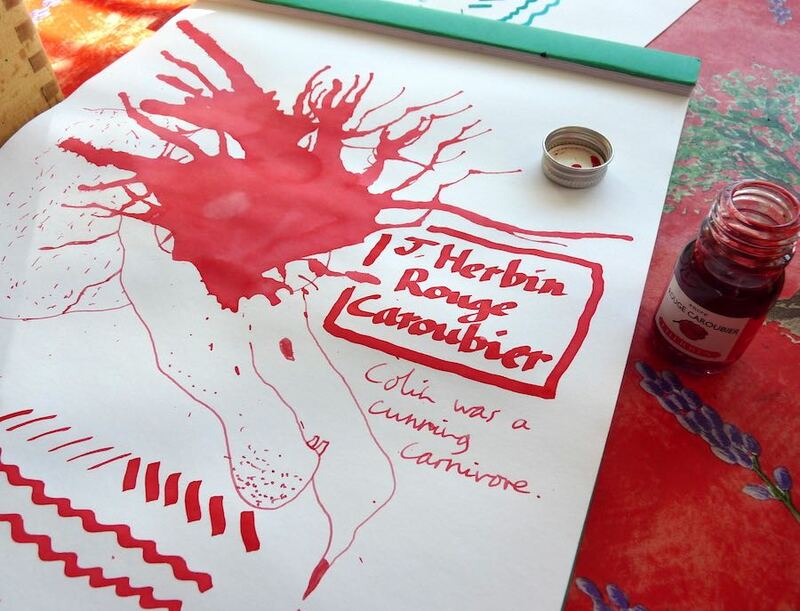 J. Herbin Rouge Caroubier Ink Review – Pens! Paper! Pencils! 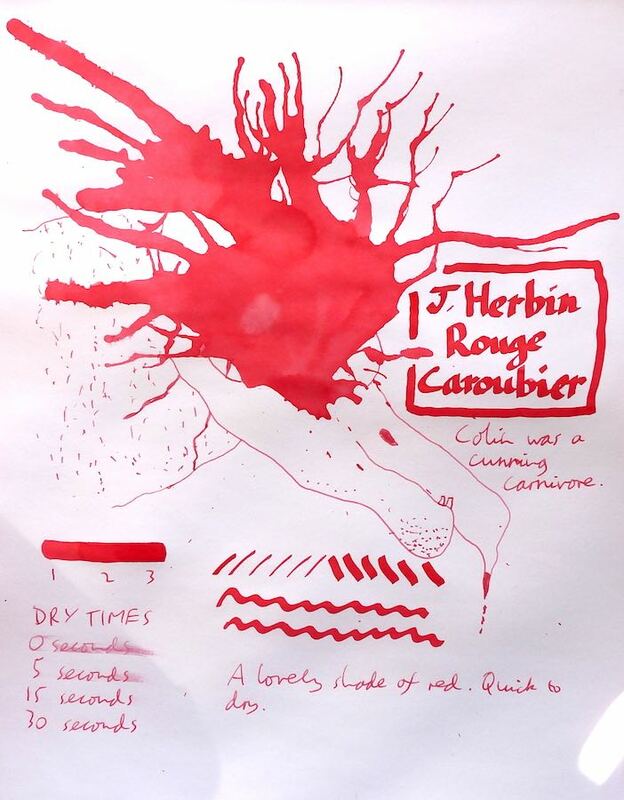 This is a very red red. By which I mean there isn’t much in the way of purple or green or orange in there. This is good if what you want is a red that’s truly red, not so good if you find that boring. Here I am doodling the Inkling. This isn’t the best video ever, sorry. I forgot to start the camera and then I didn’t have it lined up properly.